The developer behind the controversial “Ridgewood Tower,” a 17-story project in the works for several years, has signaled another step forward in its development after revamped plans for the site were filed last week. The mixed-use tower, being developed by AB Capstone across three lots—54-27 Myrtle Ave. and 3-36 to 3-50 St. Nicholas Ave.—has been in the works since 2015, with the developer breaking ground on the site in 2017. The upcoming tower, dubbed the largest in the neighborhood, saw significant pushback along the way from elected officials and advocacy groups over concerns of its size and possible gentrifying effect in the area. While the controversial project moved on despite opposition, it has been stalled for about a year a half after the developer changed course shortly after groundbreaking, seeking to pursue the development as joint venture instead. The vacant properties, since merged and purchased by AB Capstone in 2014 for $3.85 million, were even put on the market for $34.9 million at the time. But a year later in March 2018, AB Capstone scored a $37.5 million loan from Madison Capital Realty, and now appears to be moving ahead with its project after filing updated plans with the Department of Buildings on Jan. 31. The revamped plans call for an approximately 191,000 square foot project project with slightly more residential units and significantly more retail space than prior plans submitted four years ago. The number of residential units in the 208-foot tower has been upped from 129 to 138, with the top floor now reserved for a singular penthouse apartment. The number of parking spaces has also increased from 214 to 341. Plans for “office spaces” through several of the tower’s floors have also been scrapped, with new plans showing retail uses almost exclusively on the lower floors. The changes has resulted in a project with about 2,000 square feet of additional residential space, and a slightly larger commercial component. Its community facility space has also dropped from over 3,000 square feet to about 940 square feet. The new building, eight feet taller than outlined in 2015 plans, will also come fully equipped with an indoor gym for residents, a multi-purpose room and laundry room, and an outdoor recreational space on the 14th floor. It is unclear when work will start on the Ridgewood Tower. Much of the project’s criticism came from community members who were concerned about how the oversized development would fit into the neighborhood, mostly home to low-rises and multiple family homes. Assemblymember Catherine Nolan took heed to area concerns, and sent a letter to Mayor Bill de Blasio in 2017 expressing her concerns about the displacing effect the tower would have on Ridgewood. “Once completed, this development will have a profound effect on infrastructure, schools, price of rental units and has the ability to negatively affect the quality of life of our existing and potential new residents of Ridgewood and the surrounding area,” Nolan’s April 2017 letter reads. Two months later, Marisa Lago, director of the the Department of City Planning, responded to Nolan’s letter and said she believes the as-of-right project is in line with the neighborhood and surrounding infrastructure. The Ridgewood Tenants Union, a civic organization dedicated to protecting area tenants, questioned the affordability of the rental units in a neighborhood that is largely working class. The Ridgewood Tower is not the only development to be facing pushback in the area. 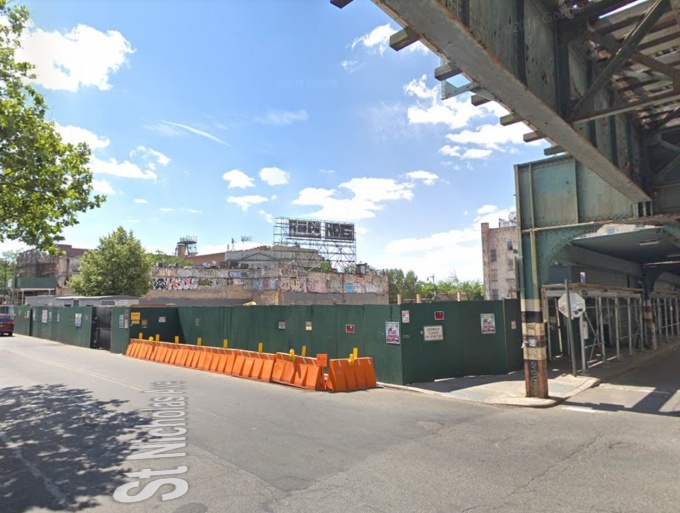 In May of last year, residents protested in front of a controversial 14-story luxury condo development at 358 Grove St. in Bushwick, near the Ridgewood border. Protestors decried the racial segregation effect that the development and others like it have had on the neighborhood. Three months later, community members gathered to protest a rumored 400-unit, 27-story residential tower at 452 Wyckoff Ave., near the Ridgewood/Bushwick border. No plans have been filed yet for the development. All these oppositions are coming from stupid people and politicians are too dumb also to fall for it. There is no plan filed for 452 Wyckoff Ave. They just heard the rumor and without verification, they just went and protest.